Welcome to week 7 of a study from Let's Talk About Ministries "Living in relationship with Jesus" series. This 8 week study follows Paul's letters to the Thessalonians. This chapter is tough. Paul's warning of a time when a man of lawlessness will declare himself God is hard to fathom. We have seen rulers and dictators attempt to cleanse the nations and reach across the world but they have eventually been stopped in their tracks. The lawless one, will however be far reaching and convincing in his lies, miracles and wonders. Paul says that many will be fooled and perish because they don't know the truth. I recently read the Left Behind series from Tim Lahaye and Jerry B. Jenkins. Although it is a work of fiction loosely based on these scriptures and the book of Revelation, I could see through it how the kind of leadership Paul talks of can take hold. As a world that is becoming increasingly connected, it seems it would be easy to quickly spread lies around the world. As believers we are protected by God - we are already saved. So, even in death we will not perish because we have eternal life. But, how can we prepare for a world rebelling against God? 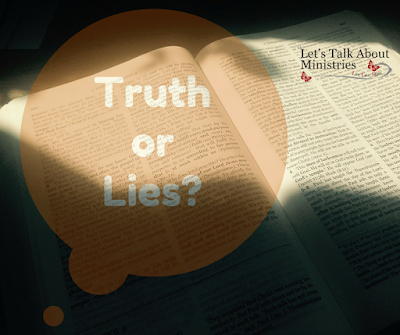 How do we stand against a leader like Paul describes, and how will we know he's a liar? Paul says we need to stand firm and hold to the teaching. I used to read the Bible because I had to, it's what I'm meant to do as a Christian. Squeezing in my 15 minute daily reading before getting on with my day not giving it another thought. As I grew in maturity and in my relationship with Christ I became hungry for God's word. As with any relationship I wanted to get to know the other person better and God's character and Jesus' life are in the Bible. I want to know God and so I read his word, not out of duty but desire. As I mentor people I often have conversations about their struggles; to hear God, discern his will and understand his purpose for life. Yet when I ask, as I always do, how much time the person spends in Gods word, or talking to him through prayer, it is often sporadic at best. If you are to be sanctified by the Spirit you need to allow him in. If you want to live by the truth then you need to know what it is. If you want to imitate Jesus then you need to know what that looks like. You cannot be in a relationship with God and follow Christ, unless you are continually learning and growing in what that means. The only way to be protected from the lies is to know the truth and the God who speaks it. Make a commitment today to spend more time with God. Great word today, Tania! I came over on the RaRa Link up, and I'm glad to find your site and your ministry. (I signed up for the emails). I completely agree with you that we must be growing closer to Jesus daily. I think this line from your post is especially good, "The only way to be protected from the lies is to know the truth and the God who speaks it. Make a commitment today to spend more time with God." Praying that my kids, my husband and I will all desire more of Jesus and His Word and purposefully make Him a bigger deal in our lives. I really like this point you made: "How can you identify lies if you are not familiar with the truth?" Such a very timely question in light of recent politics. Thanks for a great post! Visiting from #RaRaLinkup. Amen to that...How can you identify the lies if you're not familiar with the truth??? So good, and so important for all of us to be IN THE WORD and to know the Lord! Thanks for sharing this with us today at #RaRaLinkup! Hello Tania, Very powerful statement "How can you identify the lies if you are not familiar with the truth?" Copyright © 2015 Tania Vaughan Designed by www.hartandesign.com. Picture Window theme. Powered by Blogger.